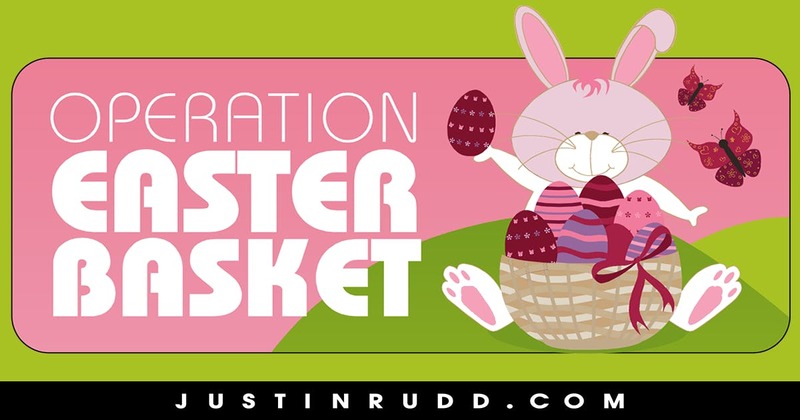 This will be our 15th annual Operation Easter Basket. Our goal is to collect and distribute 3,500 baskets this year to economically-disadvantaged boys and girls -- ages birth to 16. The Operation takes place April 17, 18 and 19, 2019, at Bay Shore Church, 5100 E. The Toledo @ Granada Ave., Belmont Shore, 90803, Wed. and Thurs. 11 a.m. - 6 p.m.; and Friday, 9 a.m. - noon (cleanup is noon to 1 p.m.). Baskets should average about $20-$25 and contain small toys, school supplies (i.e. note pad, pens, pencils), art supplies (i.e. crayons, markers), full-size hygiene products (i.e. toothbrushes, shampoo, body wash), essential clothing items (i.e. socks, underwear), and some Easter candy (including full-size chocolate bars). Volunteers: Please arrive approx. 5 min. prior to your shift beginning. We will have a volunteer captain start your 5-minute orientation on the hour, sharp. Street parking is free, but pay attention to street sweeping times.Important: Please bring some items to go in the baskets. WISH LIST: approx. 24-count boxes of full-size popular candies (i.e. Reese's, Snickers, Milky Way, M&M's, Skittles, Charms Blow Pops, Tic Tacs); stuffed animals, baby bibs, feminine hygiene products for teens, basketballs, footballs, soccer balls, kick balls, large bouncing balls, yoyos, puzzles, kids books; boxes of snack bars, protein bars and granola bars; hair combs/brushes for girls and boys, body spray for teens, yellow highlighters for teens. Packs of pencils and pens; socks for kids and infants.We'll be accepting items only on the week of Easter at Bay Shore Church.See the updated wish list at www.JustinRudd.com/easterOPERATION EASTER BASKET seeks to bring joy and hope to children in desperate situations right here in the Long Beach area through gift-filled Easter Baskets containing items such as:• school supplies, (notepads, pens, pencils• hygiene products, (hair brush, toothbrush, full-size toothbrushes, full-size body washes, and full-size shampoos)• art supplies (Crayons, coloring books, markers) • essential clothing items (socks, underwear)• and some Easter candy, including about 2 full-size chocolate candy bars.NO GUNS: Please do not put toy guns or toy water guns/sprayers in baskets for this program.